Starin is now distributing the RGBLink's M-Series line of three all-in-one video production switchers in North America. “RGBLink’s line of three all-in-one video production switchers incorporates years of development of high-quality video switching and scaling products,” said Clay Stahlka, Starin's marketing development manager. “The switchers essentially combine the power of a full-function video wall processor into the compact video production switcher." 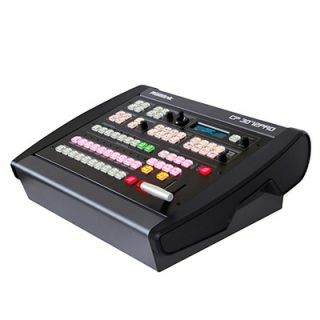 RGBlink's M2 Switcher features an integrated vision mixer and scaler. Those involved in house of worship productions can see the RGBlink products at the FILO Conference for Church technical managers at Willow Creek in Barrington, IL this May.